Your baby could open its eyes somewhere around week 28. There won’t be much to see in there, but babies start reacting to light during the second trimester. That’s because it’s possible for bright light to filter through the abdomen. As it reaches the baby, it tries to move away from light, as has been established by the researchers. Babies try to turn away from light as early as 15 weeks. Bright light doesn’t harm the baby. Babies can hiccup while in they are still there in their mother’s tummy. The hiccups can start as early as the first trimester. Most women don’t feel their baby hiccups. But if you happen to be one of the lucky ones who can feel baby hiccups, it will happen much later in pregnancy and as a daily occurrence especially in the second half of the pregnancy. Did you know that your baby will start showing preference to specific flavors at as early as 15 weeks? While babies may not directly eat or taste the food, the tastes of the food that you eat is detected in the amniotic fluid. Be it pungent flavors like garlic or ginger or sweet flavors, the amniotic fluid carries it for your baby. It is believed that it’s nature’s way of exposing the baby to a variety of flavors that he is going to taste once he enters the world. Babies get the taste as they swallow amniotic fluid. They swallow more fluid when it is sweet and less when it is bitter. When they can smile, why not cry in the womb? And they need to master this bit. It may sound a bit hard on you, but your baby might be crying inside you even as you read this post. The crying behaviors have been established by using ultrasound technology. At times, researchers have identified trembling bottom lip as the baby cries. Your baby derives all the necessary oxygen from the umbilical cord. Your baby practices breathing even before he is born when he is as young as nine weeks. He starts showing motions of breathing by then. 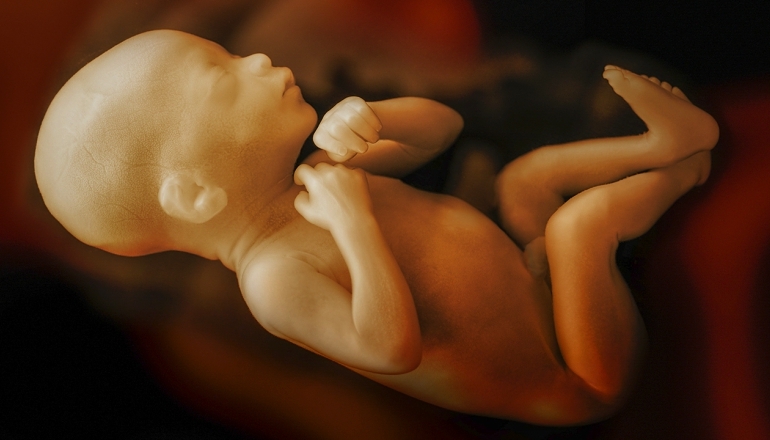 The first breath is prompted by a sudden change in both temperature and environment outside the mother’s womb. This is why it’s important to maintain the water temperature at that of body temperature if you are giving birth in a water pool. Your baby starts excreting urine towards the end of the first semester. It does this by swallowing and digesting amniotic fluid, then filtering it through the kidneys, and urinating back into the uterus.